Vahur first came to a Josiah Venture (JV) English camp as a student in 2009. There, he saw, for the first time, Christ being lived out in other people’s lives, which led him to also choose a lifestyle of living for Jesus. In 2011, God challenged him to serve as a summer intern with Koma (Josiah Venture’s partner organization in Estonia). Vahur saw the need in his country for the living God and a need for a new generation to step-up as disciples of Christ. After serving as an intern that summer, Vahur sensed God calling him into full-time ministry with the Koma team and JV. Eliza first came to a JV Fusion camp as a Latvian student in 2009, and there she put her faith in Christ. Since then, she has been serving in Latvian local ministries and as a summer intern. In the Fall 2016 Eliza, and Vahur got married in Estonia. Eliza now serves in Koma as an intern director and as both a graphic and web designer. Vahur is serving as a Country Leader for Koma. 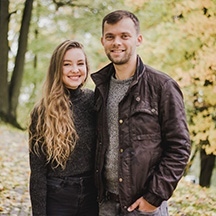 Vahur and Eliza are passionate about building up a community of believers in the local church that view themselves as “on mission” in Tallinn, Estonia. 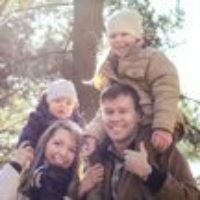 You can write to Vahur & Eliza Kobin directly from this page.